According to the Executive Director of the Tanzania Investment Center (TIC), Emmanuel Ole Naiko, who spoke during the Sixth International Conference on ICT for Development, Education and Training that was recently held in Dar es Salaam, investments in the country will increase and the country will become a regional leader in the Information and Communication Technology (ICT) sector if the country’s competitive advantages are fully exploited. The Executive Director went on to emphasize that the current Economic Agenda on ICT Development would create a positive outcome for both investors and the country as a whole. 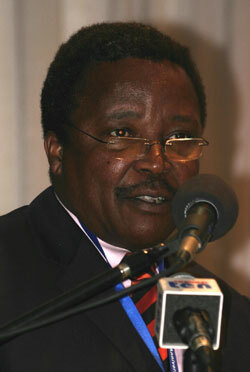 According to a recent report from the Guardian Tanzania, Mr. Naiko went on to discuss additional competitive advantages that Tanzania has over others in the region, specifically its strategic geographical position and proximity to the global markets as well as the 44 million hectare of arable land, the prevalence of agri-business, mining and other extractive industries, power generation, and the growing tourism industry. The Executive Director further explained that ICT investments within the country have come from a number of different companies including Seacom, Easy Cable and the National Cable Company. In addition to these companies, Mr. Naiko emphasized that Tanzania telecom projects have also emerged within the country, which has helped to make telecommunication more readily available to the population as a whole. According to Mr. Naiko, the TIC has registered 133 ICT projects between 1990 and 2010, which represents 2.2 percent of all projects that have been registered by the Tanzania Investment Center. In addition, reports have indicated that the ICT investments that have been made in Tanzania have resulted in the employment of approximately 32,600 people a total investment of USD 4.527 million. Mr. Naiko went on to cite Mauritius as an example of a country that has received substantial economic benefits after making the transition to an economy based on the ICT sector.